Some people find the incessant bragging of The Jon Spencer Blues Explosion to be off-putting. Like, we know you’re the BLUES EXPLOSION, HOT DAMN, YOU TOLD US TEN TIMES ALREADY, AND WE WOULDN’T BE HERE IF WE DIDN’T WANT TO ROCK SO YOU CAN QUIT IT ALREADY. Point taken, but, consider this: How many other acts with the audacity to claim their new record captures all of New York City, from disco and punk to the rent is too damn high, can actually pull off such a feat? THE ONE AND ONLY BLUES EXPLOSION. No joke. 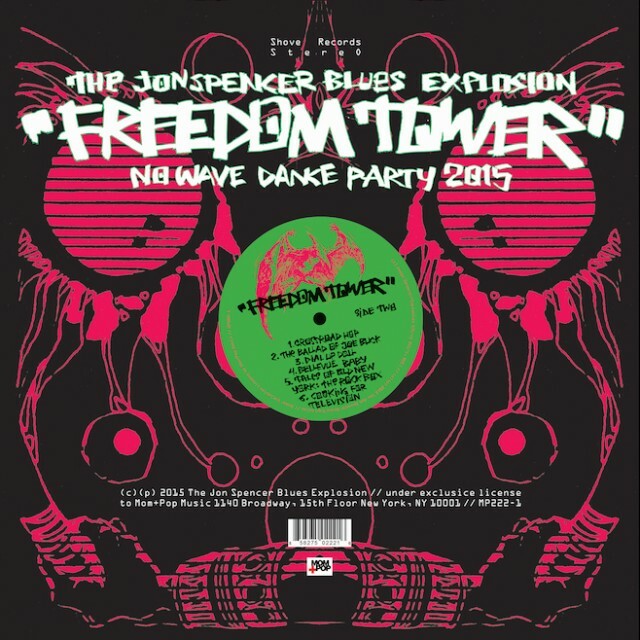 “Do the Get Down,” the first single from Freedom Tower – No Wave Dance Party 2015 (out 3.24 on Mom + Pop), mixes funk, hip=hop, punk, disco and rock ‘n’ roll like none other. I BELIEVE. The Blues Explosion will be in Cleveland for a show on 4.24 at the Beachland.